The OceanGate team has achieved a major milestone, and a world first. Yesterday, our engineering and operations teams successfully tested Titan to her design depth of 4000 meters (13,123 feet). 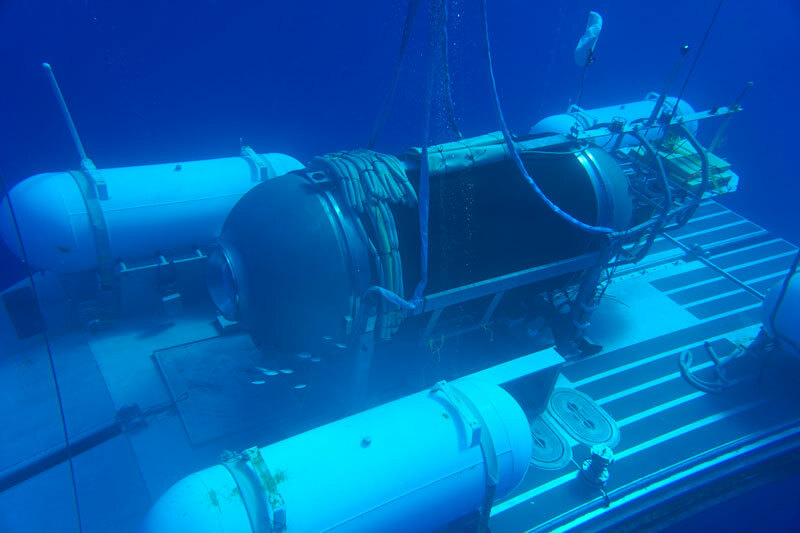 Titan is the world’s first privately owned manned 5-man submersible to reach this depth and opens 50% of the ocean to manned exploration. Designed and engineered by OceanGate, Titan is scheduled to survey the wreck of the RMS Titanic in 2019, in what will be the first manned exploration of the world’s most famous shipwreck since 2005. 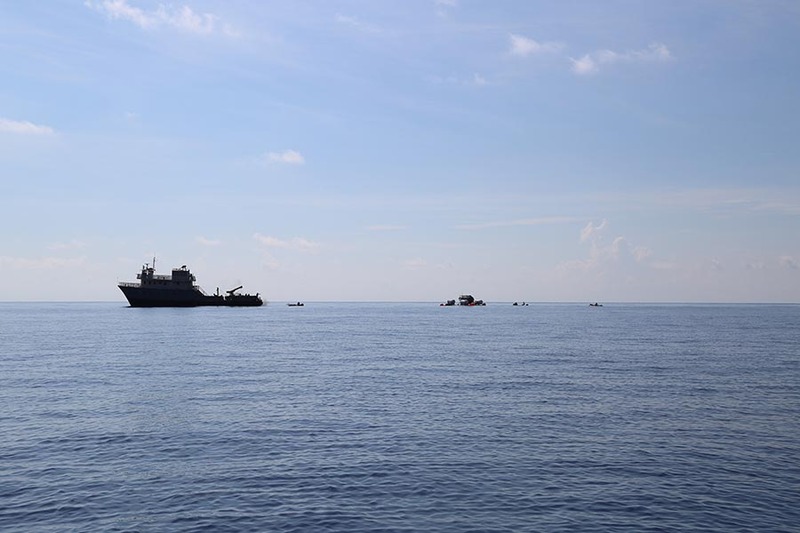 As part of Titan's extensive testing program, the OceanGate team conducted a series of unmanned dives by lowering the submersible on a monofilament line incrementally to 4,000 meters. 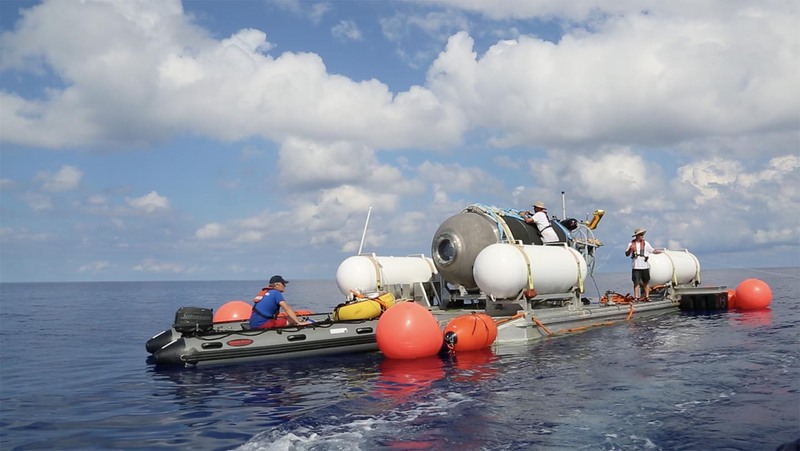 Onboard the sub, strain gauges, viewport displacement sensors and a custom designed acoustic sensor system measured the health of the hull to provide data that the team analyzed during and between dives. Using a Teledyne Benthos acoustic modem, the team monitored select data during the dives and then a detailed analysis of the many gigabytes of data was performed post dive prior to setting the next day’s limits. Many of these sensors will remain permanently mounted in the sub and will give the pilot real-time feedback on hull behavior on all future manned dives. 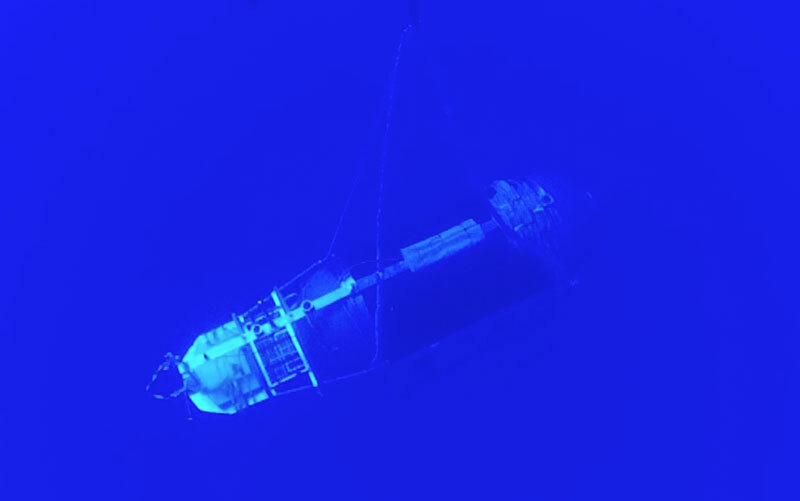 The cable test was just one phase in a test program that began nearly three years ago with the construction of a one-third scale model of the pressure vessel and the launching of Cyclops 1. The scale model underwent four rigorous pressure tests in a chamber at the University of Washington which validated carbon fiber as a viable material for the hull design. Following the cable test, Stockton Rush, OceanGate’s CEO and Chief Pilot, will dive solo in incremental depths until reaching 4,000 meters; In doing so, he will join James Cameron as one of only two people in history to solo dive to this depth. Support vessel and Titan at sea in the Bahamas. Titan on platform before launch.